What Should I Bring To My Initial Consultation With My Attorney? You should bring all of the records, notes, recollections and any other relevant items that you may have to your initial consultation with the attorney. What Should I Do After I'm In A Truck Accident? 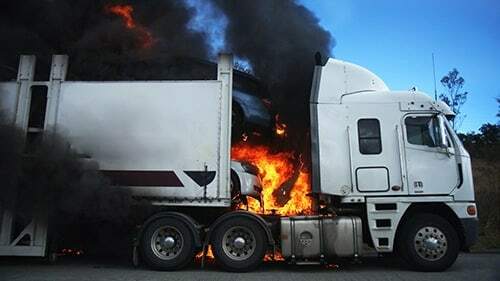 How Do I Know If My Truck Accident Case Will Succeed? Don't Know What To Do After A Truck Accident In Illinois? Any medical records, including x-rays, CT scans, MRI's, and medical bills. Anything you do not bring to the first meeting with your attorney can always be collected at a later date. Remember though that it is critical to gather and preserve evidence at the scene of the accident in an accurate and comprehensive manner. Federal regulations require certain facts to be kept by bother parties (i.e. routes, engine, and other logs), but many drivers do not do so and will obfuscate your ability to get that information. (See Federal Motor Carrier Safety Administration §379.3). Therefore, at the scene, give the police a full and complete account of what happened in private. Then, make note and take pictures of anything you think is important. This information will help you rebut the arguments made by the other drivers as well as alleviate your liability if you are found responsible because you can still get damages for the amount of their complicity. Was the driver working at the time of the accident and en route to a worksite? Was the driver speeding at the time of the accident or under the influence? Did the accident happen because of a product malfunction such as a defective tire, seatbelt, or other item? Did the driver fail to signal prior to colliding with you? Did the driver leave his/her lane and sideswipe you or run head on into you? Rosenfeld Injury Lawyers LLC meets with accident victims all across Illinois including those involved in truck collisions. We know that all of the forms, laws, and requirements can be confusing even overwhelming if you've never done it before. That is why we sit down with every one of our clients to walk them through the entire path of their case and explain exactly what we need to do to be successful. Plus, we'll do it for free until you're happy with the award or settlement. Want to hear what you can recover under Illinois law? Then call Rosenfeld Injury Lawyers LLC today to find out! Do I Need An Attorney If I Am Injured In An Illinois Accident Involving A Large Or Commercial Truck? How Do I Know Which Illinois Truck Accident Attorney Will Be The Best To Hire For My Case? How Much Do I Need To Pay Upfront To Get My Chicago Truck Accident Injury Case Started? What Kind Of Time Frame Am I Looking At To Resolve My Illinois Truck Accident Injury Case?